The wave-like cascading is called 'shimmering', and this defensive behaviour is applied when predatory wasps, or larger species such as humans in this case, invade their space. The bees work together to make sure not one bee is singled out during a possible attack. 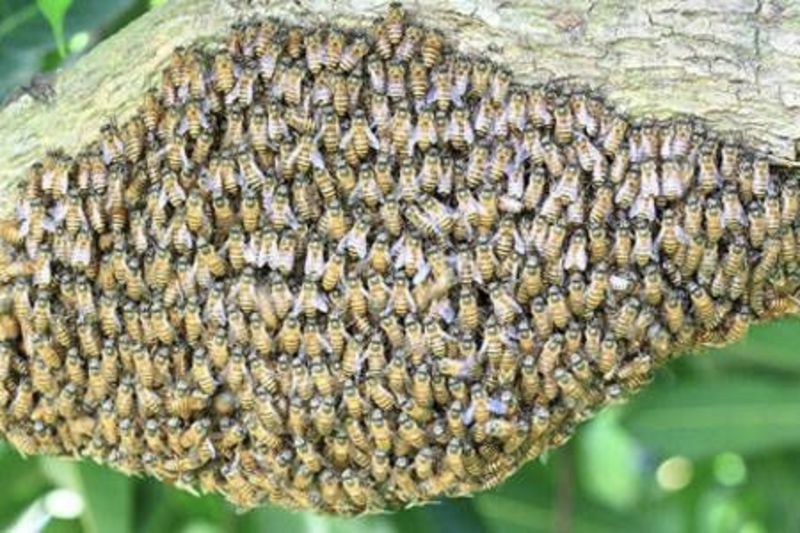 The shimmering starts in one spot of the honeycomb and spreads out in less than one second as the bees flip their abdomens upwards. Try to not get super mesmerised.